A Brief History of Trump’s Feud With John McCainFrom life until after death. John McCain’s Service in Vietnam Was a TragedyOur government put the young McCain in harm’s way — and subjected him to unspeakable suffering — in service of an indefensible cause. Report: Sarah Palin Wasn’t Invited to John McCain’s FuneralMcCain’s former running mate, like President Trump, will have to watch on TV. 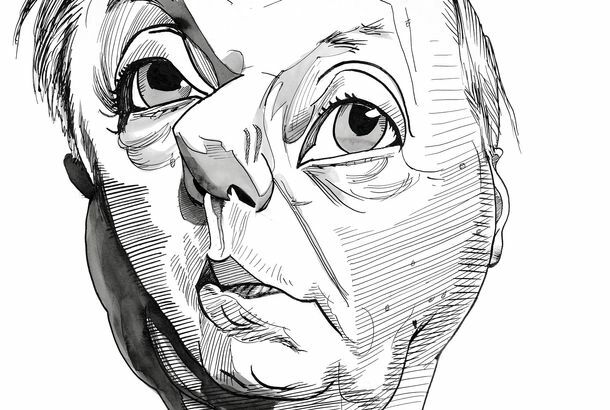 John McCain Tried to Save the Republican Party From Itself, and Was CrushedTwo decades ago, McCain made the only serious attempt to arrest the party’s long rightward lurch. His defeat still lingers. Republican Senator: McCain ‘Partially to Blame’ for Trump Flag DisputeIt takes two to tangle, even if only one of the parties is currently alive. White House Lowers Flag Back to Half-staff for McCain After Day of OutrageAfter enduring a barrage of criticism, President Trump did the absolute minimum to commemorate a man he clearly despised. Federal Building Named After Segregationist Might Be Renamed After McCainIt’s time to remove the name of the genteel racist Richard Russell from the Senate’s oldest office building. Giving it McCain’s is a good pretext. Tributes and Remembrances Roll In for John McCainThe Arizona senator left a complex legacy, but was personally beloved by fellow lawmakers, colleagues, and reporters. John McCain Ceases Cancer Treatment, Prepares for the EndThe “progress of disease and the inexorable advance of age render their verdict,” the senator’s family said in a statement. HBO’s John McCain Documentary Is Both Reverent and CandidJohn McCain: For Whom the Bell Tolls is fairly honest about McCain’s sins as well as his strengths. Gina Haspel Set to Be CIA Director After Several Democrats Back HerMcCain urged fellow senators not to confirm Haspel. All he accomplished was highlighting the Trump administration’s refusal to apologize. White House Aide on McCain’s Opposition to Haspel: ‘He’s Dying Anyway’Cindy McCain chided communications official Kelly Sadler following reports that she joked about the senator’s battle with brain cancer. Hatch Apologizes to McCain for Suggesting Trump Should Attend His FuneralEven one of the president’s most zealous supporters realized he was out of line on this one. Hatch: It’s ‘Ridiculous’ That John McCain Didn’t Invite Trump to His FuneralOrrin Hatch can’t understand why McCain wouldn’t want a draft dodger — who mocked him for being a POW — at his burial. 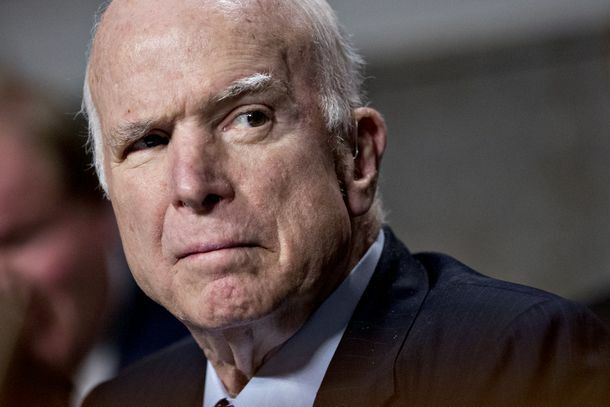 Senator John McCain Doesn’t Want Donald Trump at His FuneralThe senator is apparently thinking about his dying wishes. McCain Regrets His Palin Pick for the Wrong ReasonsHe still won’t draw a connection between his decision and the GOP’s descent into nihilism.